What's The Most Wonderful Moment Where Somebody States The Obvious? Sometimes a crowning moment of insanity isn't truly excellent, unless someone spells out what just happened. Sometimes the most quotable character is the one who just has to blurt out exactly what's up. But what's the greatest moment where someone states the obvious? Please include a picture, book cover or clip to signify this awesome moment. And please mention the name of the person who stated the obvious, what they said, and maybe why it was so awesome. Thanks! Top image: Admiral Ackbar from Star Wars: Return of the Jedi. 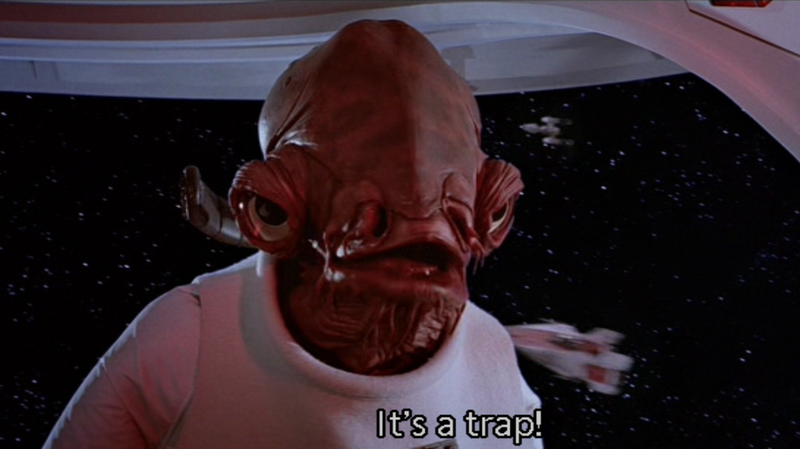 He can recognize a trap when he sees one.